I did it. I jumped on the Keto Diet bandwagon. Wanna know what? It has been amazing so far. I’m only 6 days in but I have never felt more satisfied or loved the food I am allowed to eat. I don’t ever feel bloated anymore. It hardly feels like a diet which is a first for me. I can see this being a long term lifestyle change because of how easy it has been for more so far. If you are wanting to start this diet yourself, I highly suggest the Keto in 28 days book to get you started. Not only does it explain how it works, it also gives some pretty amazing recipes too. 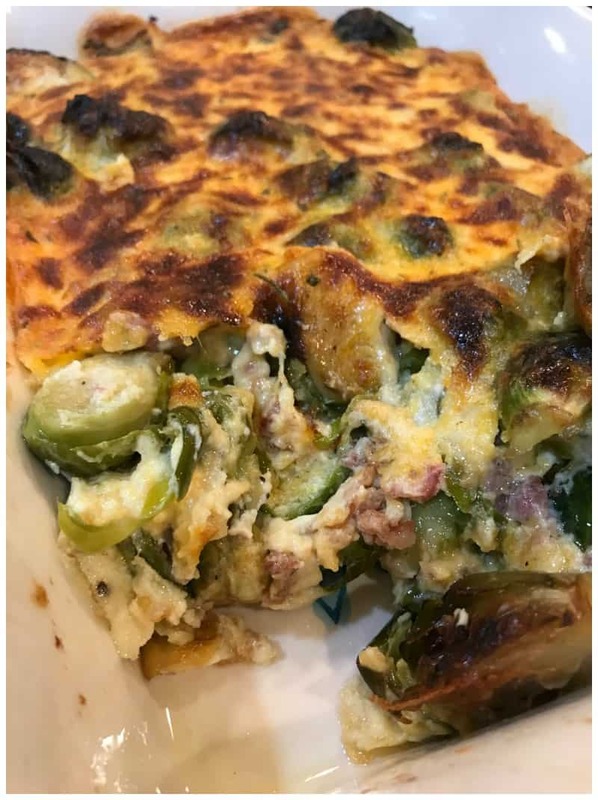 Feel free to join our What’s for Dinner – Keto Friendly Facebook group here too. We are full of recipes and support. 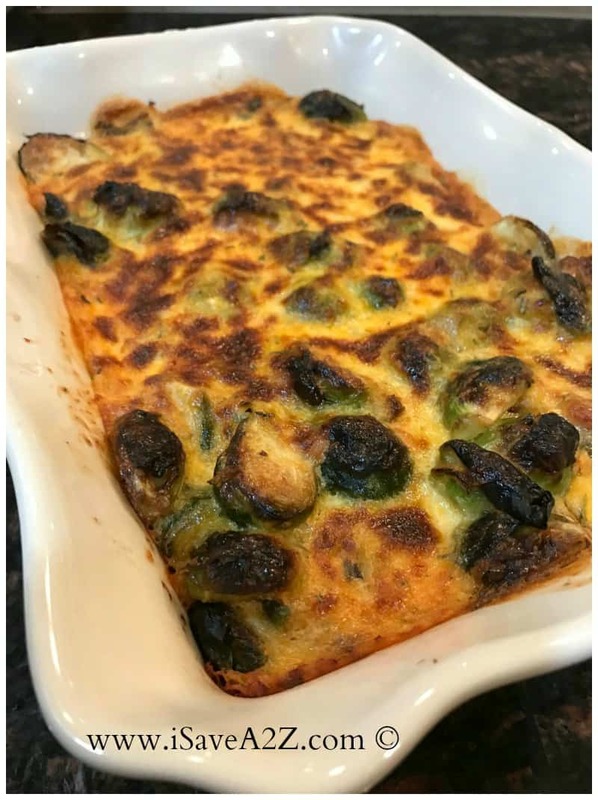 One of my very first casserole recipes is with Brussel Sprouts! My kids dislike Brussel Sprouts. My oldest calls them “natures turds.” I can’t help but to laugh every time she says it. 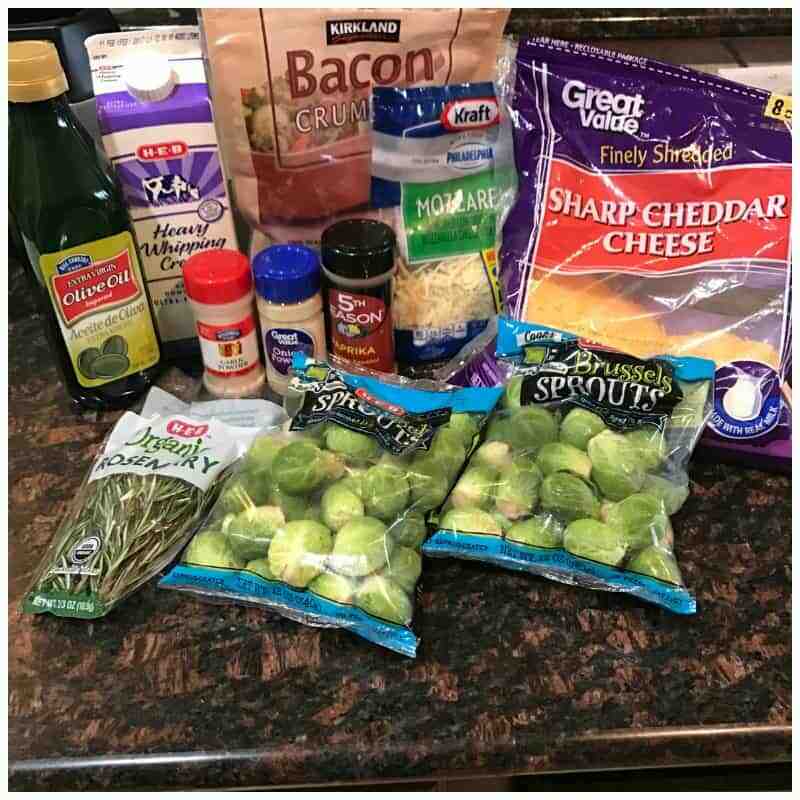 She dislikes Brussel Sprouts but she says she doesn’t mind my recipe. This means that this recipe is AMAZING to be able to get my daughter to actually eat them. I tend to like roasted Brussel Sprouts coated with olive oil and baked at 450 degrees for 20 minutes. I could eat a whole bowl by myself. I top it with bacon crumbles too. I buy a big bag of bacon crumbles at Costco every time I go. They are real bacon crumbles too. Not those crunchy fake ones. 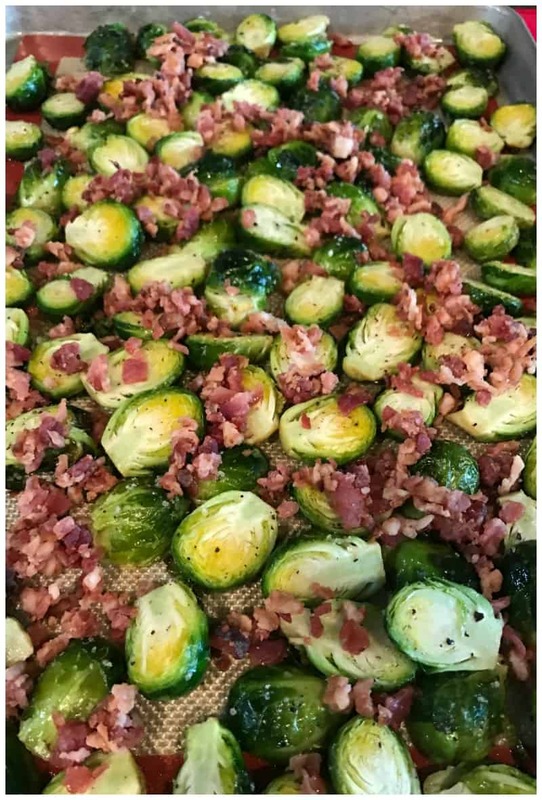 I just sprinkle a handful or two on the top of the Roasted Brussel Sprouts right when I take them out of the oven. I let it cool for about 5 minutes and by that time the heat from the pan has already warmed up those bacon crumbles too. I’ve included a printable version of this recipe at the very bottom of this post. Cut the Brussel Sprouts in halves. In a medium bowl, coat them with olive oil, salt and pepper. Bake them for 20 minutes on 400 degrees. Add bacon crumbles to the top of them after you pull it out of the oven to cool. (I purchase real bacon crumbles from Costco). Ok now, here’s the hard part. 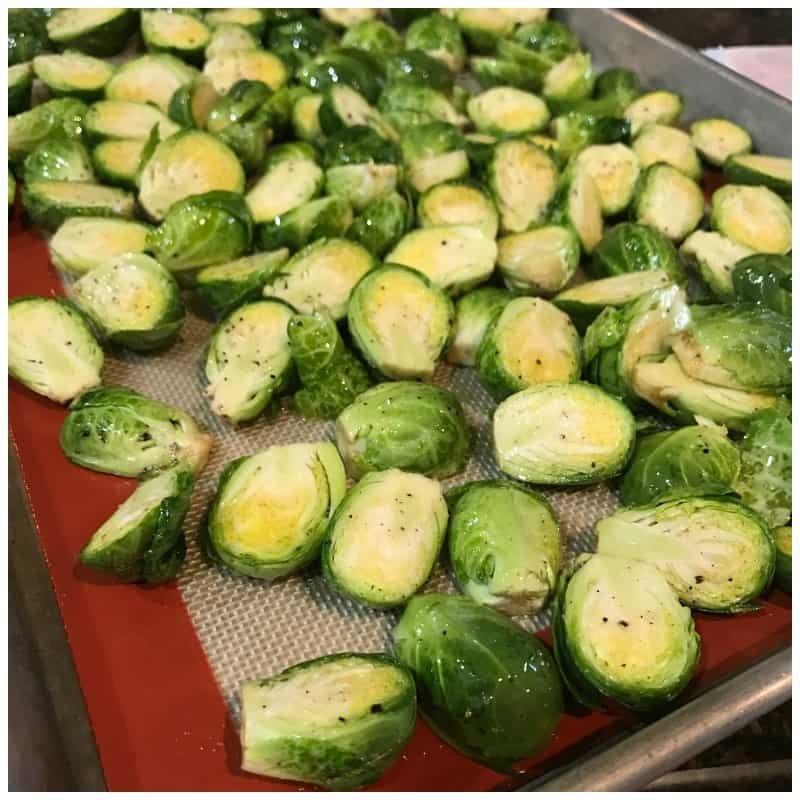 Try not to eat those scrumptious Brussel Sprouts you just roasted. This is me taking a small taste or two. You could stop at this part and serve the Brussel Sprouts as is too. 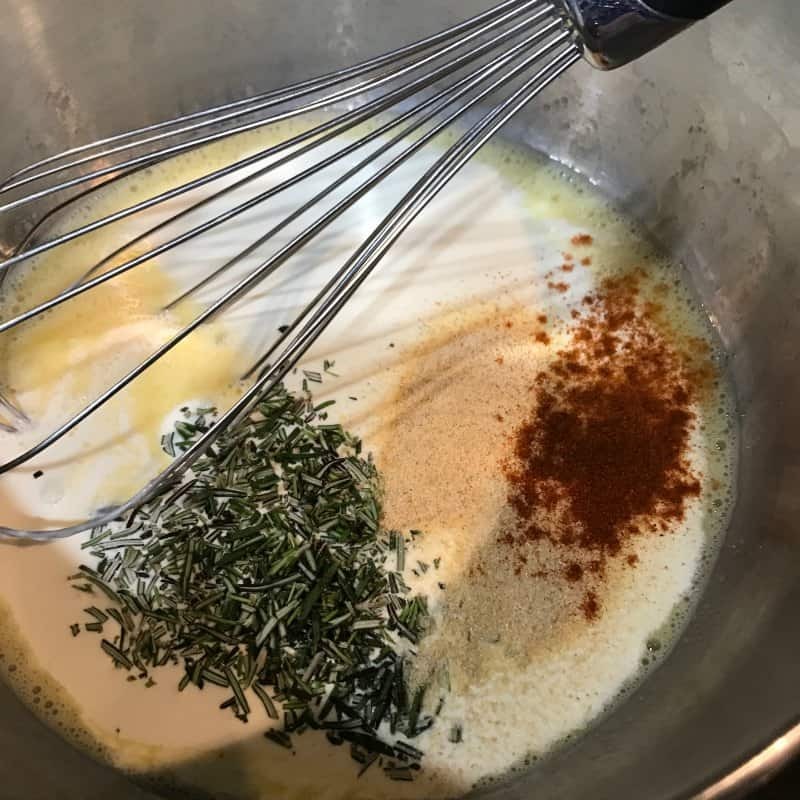 Combine the eggs, heavy cream, shredded cheeses, rosemary, onion powder, garlic powder and paprika in a bowl and mix all those ingredients together. 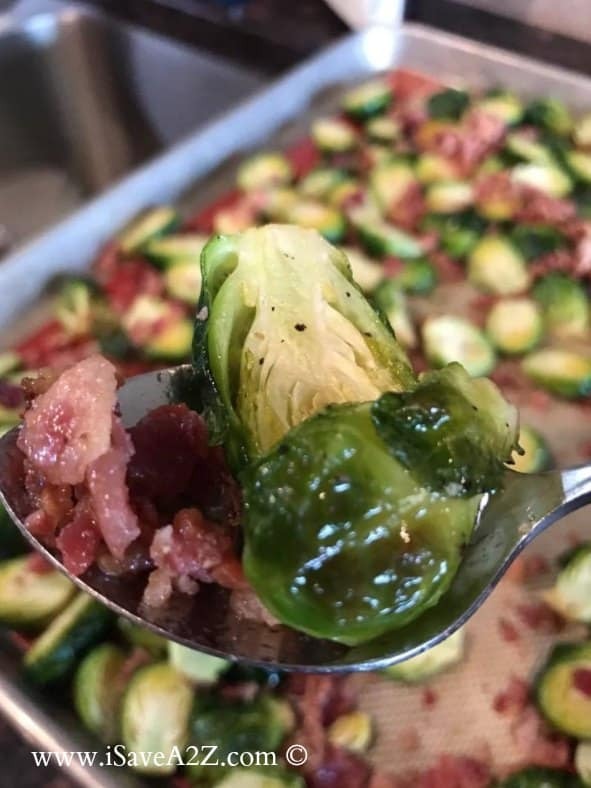 Place the cooked Brussel Sprouts in a small casserole dish and pour the liquid ingredients over the top of it. Bake it at 350 degrees for another 20 minutes. To get the top browned I turned the oven to broil the last 5 minutes. Coat them with olive oil, salt and pepper. 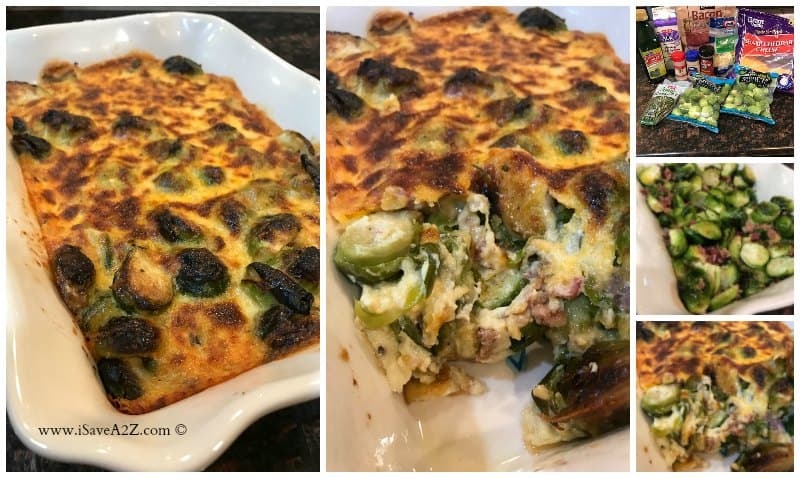 By Jennifer on January 22, 2017 Casseroles, Keto Dinner Recipes, Keto Friendly Recipes, Keto Lunch Recipes, Keto Thanksgiving Day Recipes, Main Dishes, Recipes. 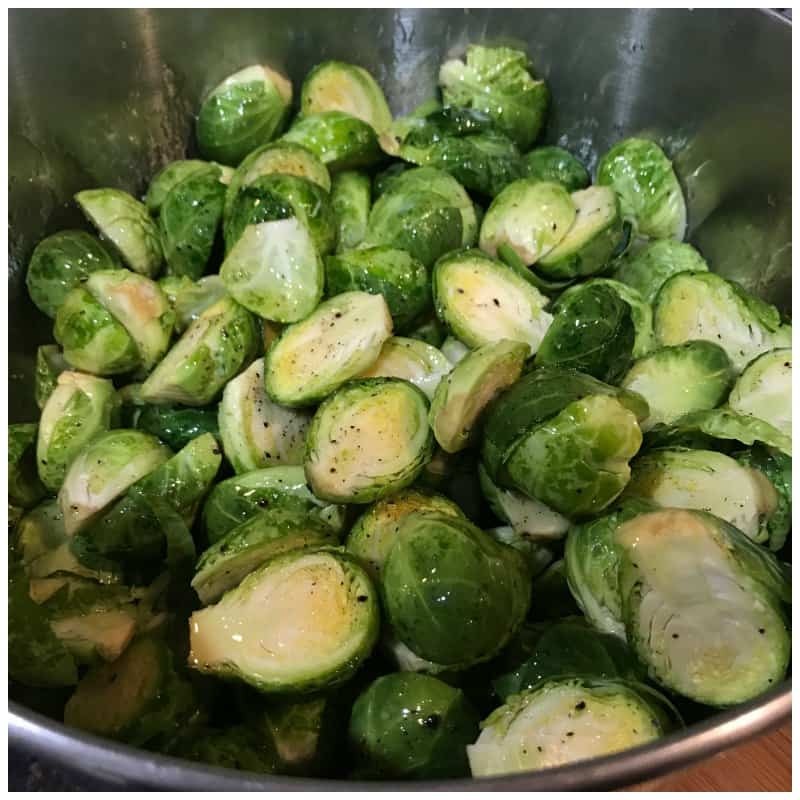 I made this brussel sprout recipe for Sunday dinner and it was a hit. Thanks!!! !